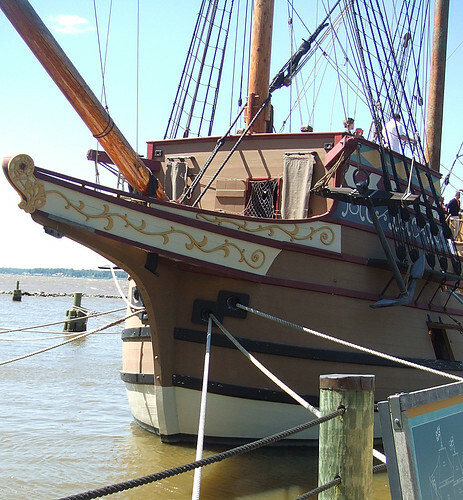 On May 17, 1607 an expedition of English explorers landed on the shores of Virginia after a charter was granted to the “Virginia Company” by King James the First. In keeping with the principals established under Queen Elizabeth the First, the English immediately “claimed” the land and set about renaming everything in sight, much to the considerable annoyance of the local Algonquin native Americans, who duly commenced a sporadic form of guerilla warfare with the adventurous English settlers. Richmond, VA Photograph of I do it for fun., uploaded originally by Jordan Jez Photography. 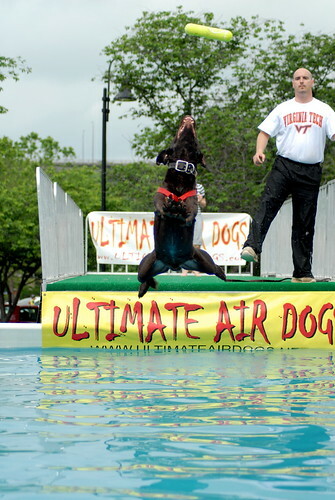 The United Kennel Club and Ultimate Air Dogs united together recently at Brown’s Island to host a dock diving event in which dogs jump as far as possible into a pool chasing his or her toy of choice. The dog and handler with the furthest jump wins. The Plaza is off of Canal Street next to the Federal Reserve Building and features the pictured cascading fountain along with a concert stage and lawn for their Friday at Sunset events. 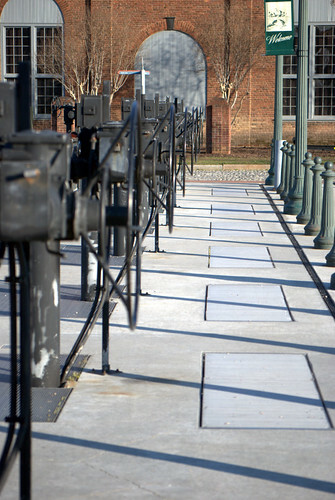 A shot on Brown’s Island on one of the many walkways they have to point out hot spots and historical points of interest. a popular place for sightseeing. 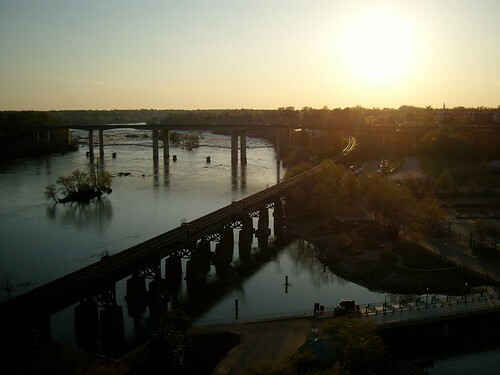 Visible from the island is Belle Isle, the Manchester Bridge, and the ruins of the Richmond and Petersburg Railroad Bridge. 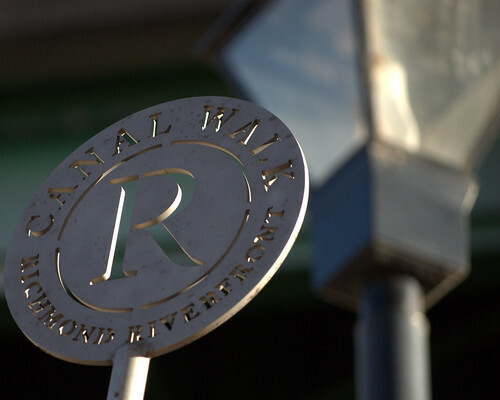 The James River is a must for any who love water activities. The River itself has many rocks for playing or lounging and there are companies that offer canoeing, kayaking, and rafting down the rapids that range from class I – IV. James River and Kanawha Canal.